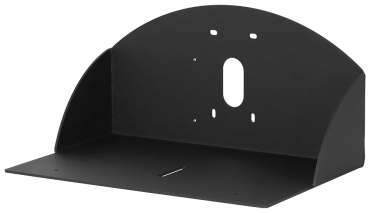 Vaddio’s OneLINK System for Cisco® C-Series Codecs (C20, C40, C60 and C90) and Cisco® Precision HD (1080p 12x and 720p) cameras is digital camera extension system that extends HDMI video, power and network control on a single Cat-5e or better cable at distances of up to 328’ (100m). 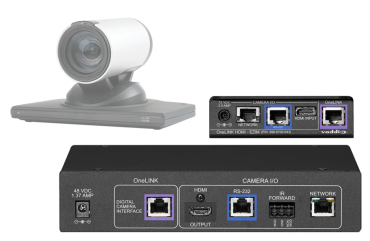 OneLINK sends and regulates power to the camera, provides a bi-directional control channel for Ethernet, and transmits/receives uncompressed HDMI digital video up to 1080p/60. Vaddio OneLINK - the art of easy - making installations and integration simple.